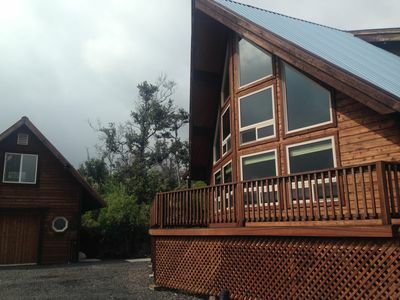 Getaway to Heavenly Honaunau! 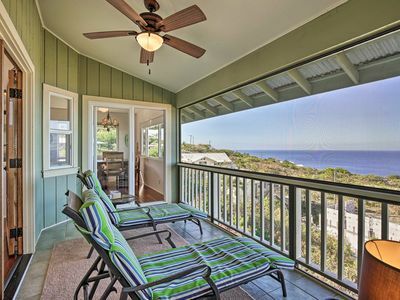 Ocean View, Great for Families! Hele Mai! 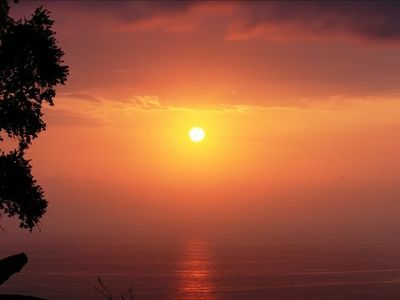 Come and get away to our cozy country home with an amazing 180 degree coastline sunset view. 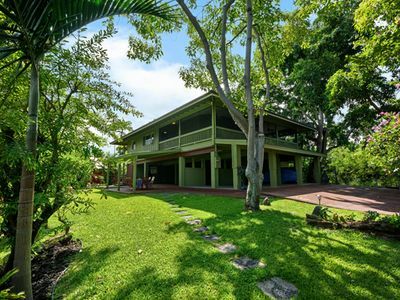 Nestled in the mountains this home has unobstructed coastline views from the City of Refuge to Kealakekua Bay. 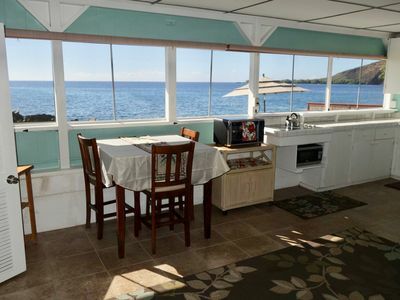 The lanai with awesome views is a great place to sip your morning coffee and watch the sunset with its array of colors. 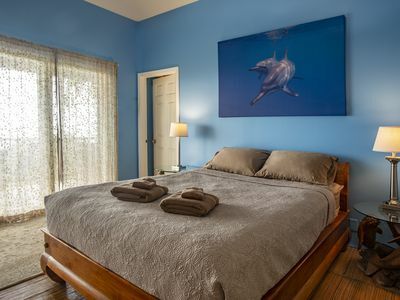 Our 3-bedroom home sleeps 5-6, and is furnished with touches of the tropics. 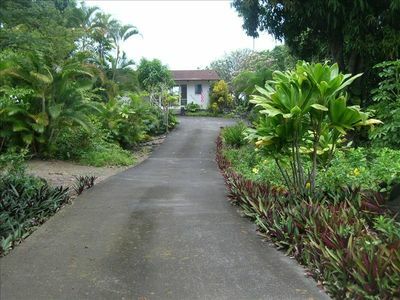 It is very private and located on a 5-acre lot with a large yard in Honaunau, South Kona. 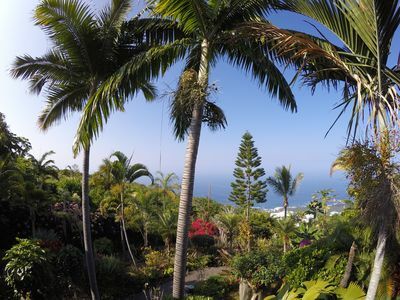 The landscaping is very tropical with many varieties of native Hawaiian and other plants including Palms, Hibiscus, Orchids, Mangoes, Oranges, Avocados, Papaya and much more (you are welcome to pick the fruit in season when it ripens). Coffee and macadamia nut trees abound. Wild turkeys roam the property. 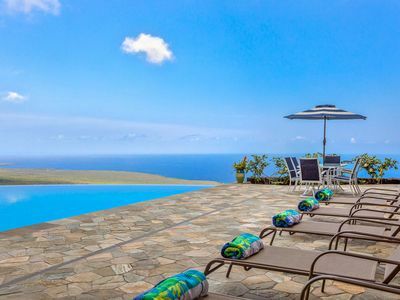 The house is situated on a hill to offer you a spectacular views with cool breezes throughout the day and night (it is especially cool at night). 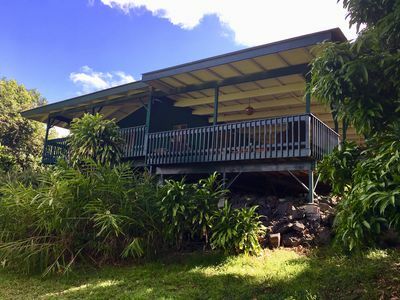 Get away from the hustle and bustle of city life and come to experience country living in a peaceful setting that is a great place to relax. 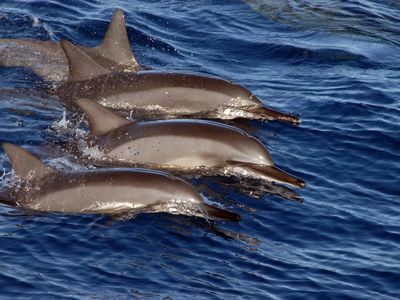 The City of Refuge (in the top 20 of places to visit on the Big Island) and Honaunau Beach (GREAT for swimming, snorkeling, paddle boarding and diving and, if you are lucky, swimming with dolphins and turtles) are located approximately 4 miles away. 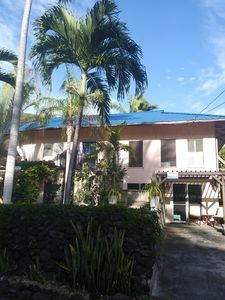 Local stores, restaurants and shops are nearby. 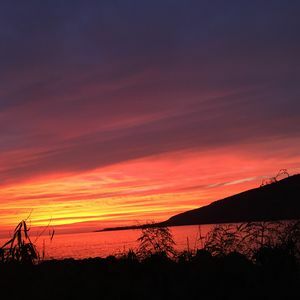 There are a variety of eateries if you want to experience local cuisine: Da Poke Shack (rated #1 by Yelp) recently opened a 2nd location a stone's throw from our home, and a slew of other eateries are nearby. 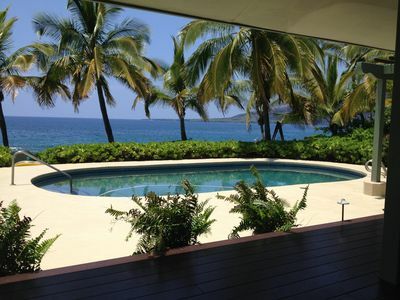 Outdoor pursuits are close by or simply relax and meditate in this serene area. 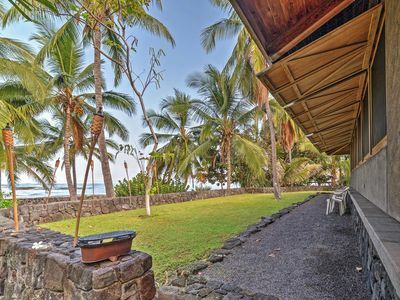 Honaunau is part of the Kona Coffee belt where lots of farmers cultivate the world renown coffee that is largely sought after. 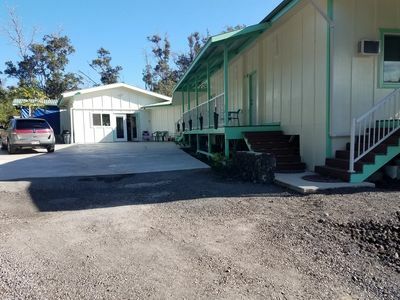 Coffee Mills, Bee Farms, Botanical Gardens, Black and Green sand beaches, Historical Monuments and more are located within a few hour's drive from our home. 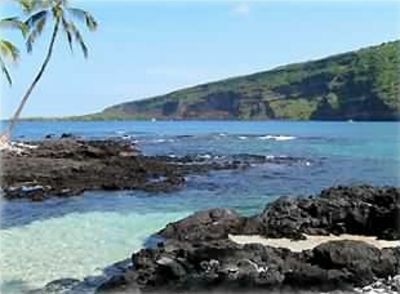 Experience and see the 10 out of 14 climate zones that Hawaii Island has to offer. E komo kai! 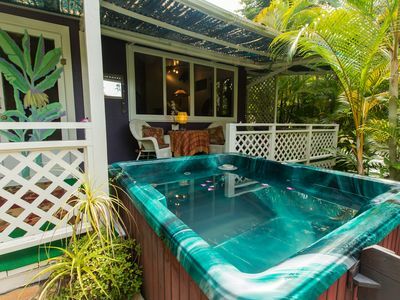 You are welcome to make our vacation rental part of your home away from home!! 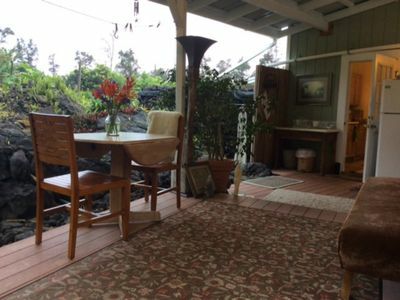 LUX Ohana memory foam King w/ 800 sq ft private lanai. 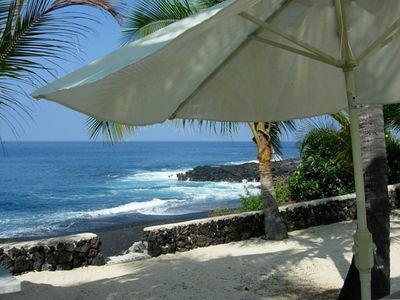 Kona Coast Paradise w/ Lanai - Near Pebbles Beach!